Whatever the kit instructions might say imported US types used by the Republic of China Air Force in the late 1930s (Curtiss Hawks and Boeing 281) were not painted in the equivalent of a flat and faded mid-war US Olive Drab but rather in a rich and lustrous deep, dark, slightly olive green somewhat similar in hue to RLM 71 or approx FS 24079-14081. And the blue of the insignia was never turquoise or a greenish sky blue (discard those decals!). It was a deep cobalt blue or sometimes a blackish-blue that typically faded to a slightly greyish blue. 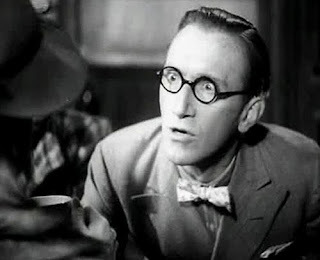 "This foreign person (an American) has come to China to participate in the war effort. Soldiers and civilians, one and all, should rescue, protect and provide him medical care." That busy little bee* in my bonnet is now buzzing happily away. 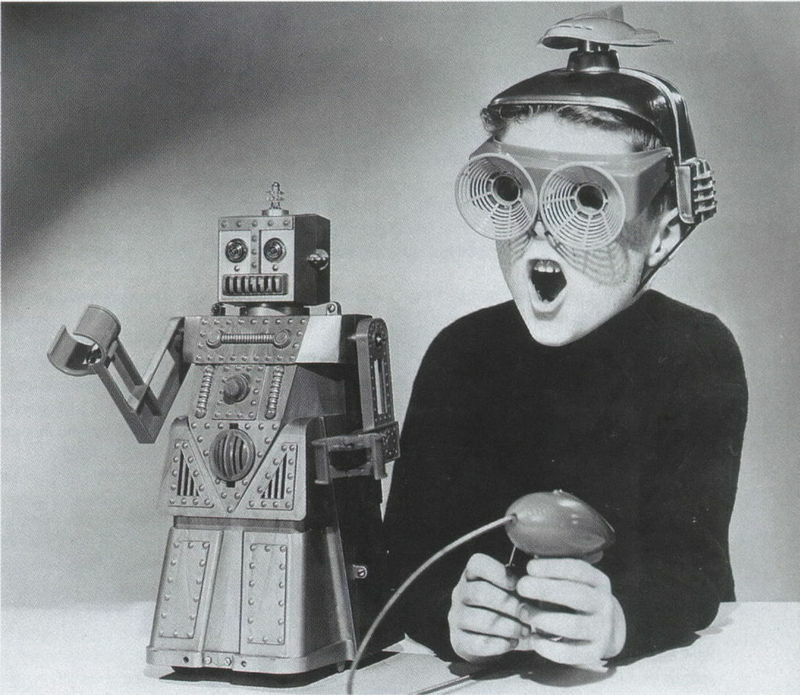 * Health warning: Do not click on the link or you'll have the song on your brain all day! 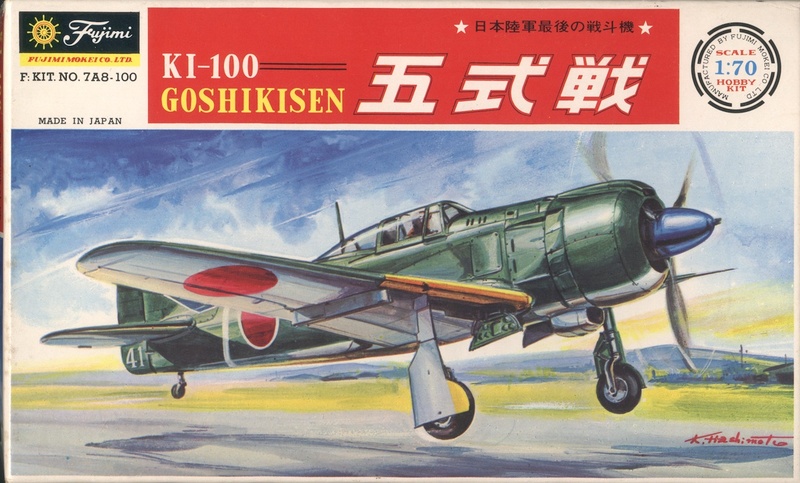 Back in October last year this blog featured the Aoshima Goshikisen - Ki-100-II kit - and at that time a companion piece on the Fujimi Goshikisen was intended to follow, but not four months later! 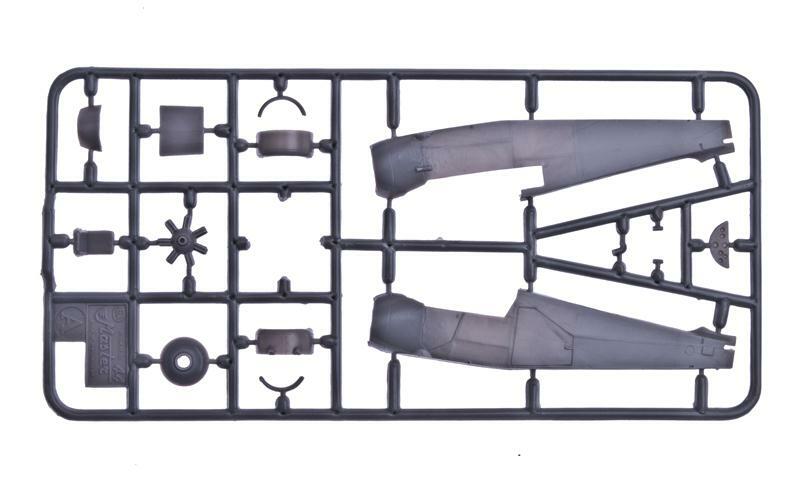 The two kits are sometimes confused on modelling forums, with the Fujimi kit being attributed to Aoshima. In fact they are very different in terms of engineering and approach. The Fujimi kit was first released in Japan in 1965 as No. 8 in the 'One Hundred Series' with unique box art as shown above, depicting a 3rd Chutai (!) machine of the 111th Sentai lifting off. 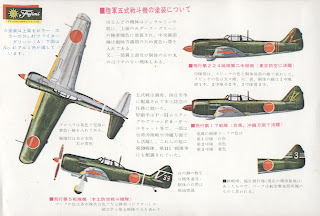 Incidentally, careful study of the best photographs of the 59th Sentai Ki-100 line-ups at the end of the war reveal that they did indeed wear that unit's unique and characteristic horizontal tailplane stripes (just immediately forward of the elevators) in the Chutai colours (as shown above on a Ki-43), in addition to their more visible and recognised diagonal fin and rudder band. Every Ki-100 kit and artwork depicting this unit has so far omitted this detail. 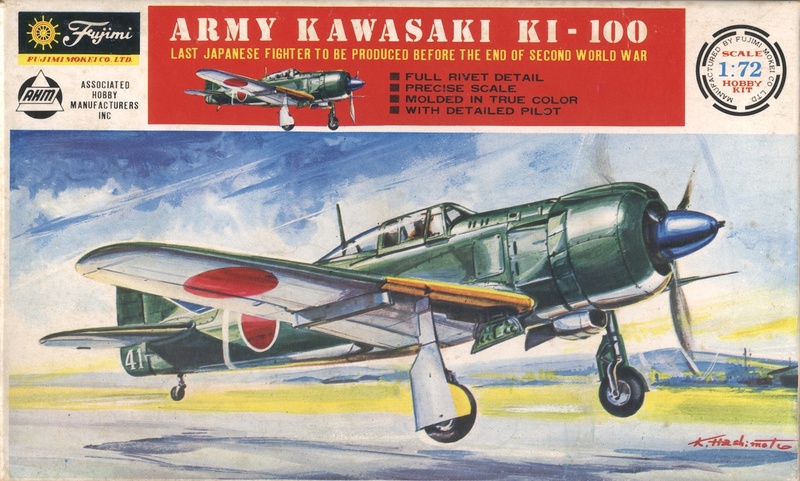 This original Japanese kit included a nice colour sheet with profiles and a brief description of the units equipped with the Ki-100 and colours, an addition not included in the subsequent kits. 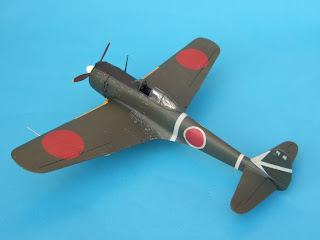 The decal sheet, however, consisted only of basic Hinomaru and yellow wing leading edge IFF strips with no unit markings. 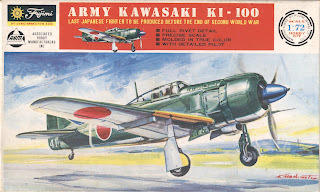 Whoever painted the box art and profiles had a better idea of the Kawasaki "green" version of JAAF paint colour standard # 7 on a polished airframe than many later depictions, perhaps because he had actually seen it. Both side panels of the box extolled the working features of the kit in LS style. The Japanese export issues of the kit 7A8-100 bore only the Fujimi logo and appear to have been marketed with two boxings labelled both as 1/70th and 1/72nd scale. 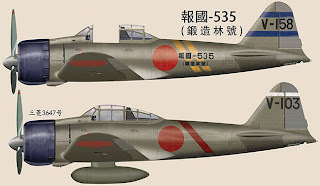 The one below, by an unknown artist, depicts aircraft '39' of the 5th Sentai's Hikotai leader, Capt. 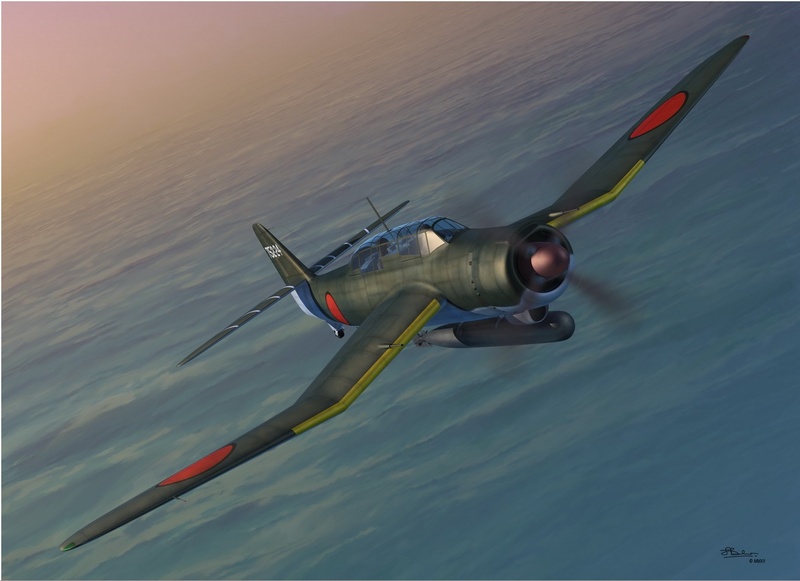 Yasuhide Baba and faithfully renders the Ki-100 factory scheme. The other export releases all feature the art of K Hashimoto depicting a 59th Sentai Hombu (presumably) bird at the moment of take off as shown in the box art images below. 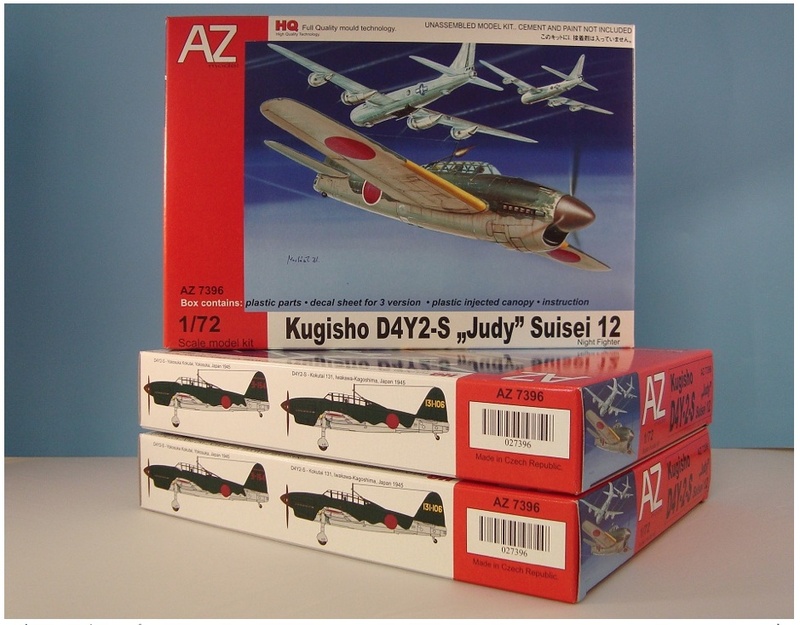 Subsequent releases in similar boxes bore in addition the AHM (Associated Hobby Manufacturers) and Bachmann logos of the US importers (the latter kit becoming known as Fujimi-Bachmann). Those were now marketed as 1/72nd scale. All of the kits, including the Japanese original issue appear to have been moulded in dark green plastic. In the context of the time the kit is not as poor as is sometimes represented, the most detracting detail being the truly horrible and inaccurate windscreen. It had a greater parts count than the very simple Aoshima kit, with 32 parts and provision for moveable rudder, elevators, flaps and ailerons, together with a retractable undercarriage and opening canopy. In plan view the shape is pretty good with a commendable swell to the cowling sides and which fair into the fuselage more convincingly than the Aoshima kit. The cowl flaps are rather heavy and crude, being moulded as individual chunky rectangles standing proud of the airframe. The surface detail is a mixture of raised lines and rivets, best removed. 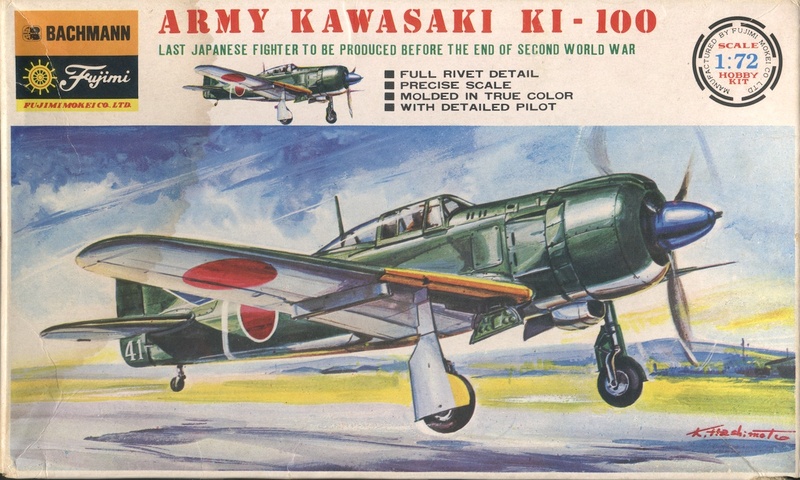 When it was the only game in town and the only Ki-100 kit in the stash a Hasegawa Ki-61 was sacrificed for details and the carefully cut windscreen and canopy from that kit combined with the kit's rear canopy fairing to achieve a passable representation. 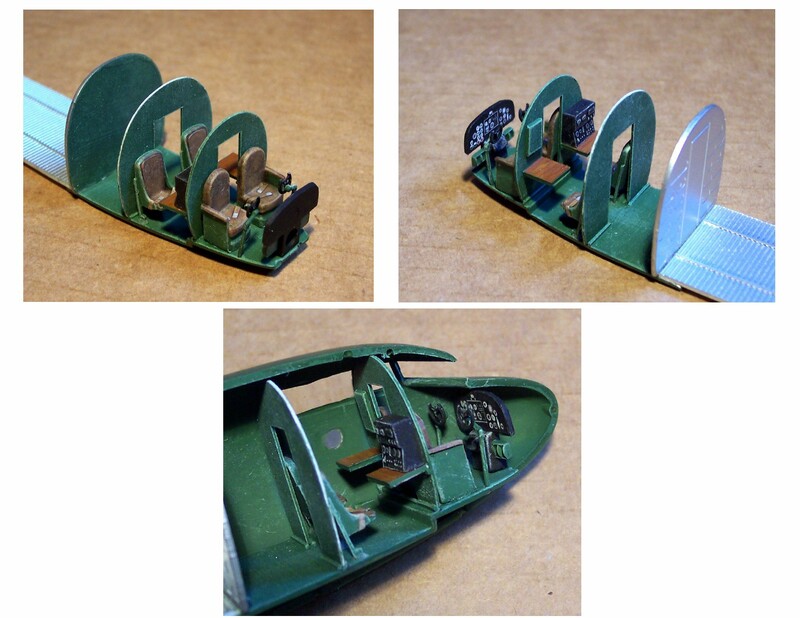 Work was done on the rudder and other control surfaces to remove the non-scale working parts hinges and recesses. The 32 parts of the kit included a Ki-100-II supercharger "worm" and wing leading edge air inlet, shown and numbered as parts 31 and 32 on the exploded view diagram but not listed as such. 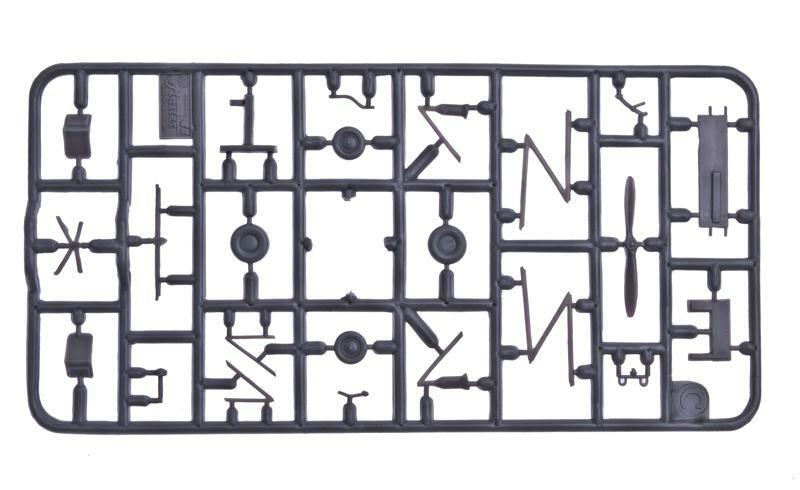 Curiously the original Japanese issue kit did not include these parts or show them, although the table of parts included two empty sections. 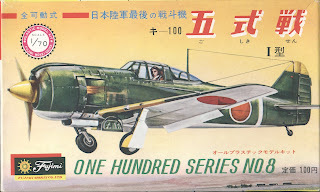 Did Fujimi originally plan a separate release of a Ki-100-II? 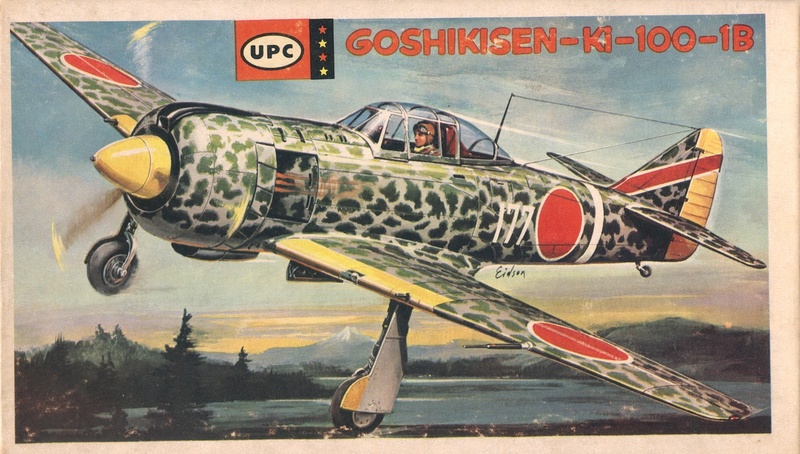 The UPC release of the same kit from 1966 made no mention of Fujimi on the box and had typical moody dawn or dusk box art by Andrew Scott Eidson (b.1908) depicting another 59th Sentai bird in an unlikely scheme of the sort now favoured by East European kit manufacturers for their "what-if" options. Inside the box the kit was identical to the other releases except for the instruction sheet which was new and marked as UPC 'HO Pocket Series'. The box, however, was marked as 'Flight Series 1/72 Scale'. 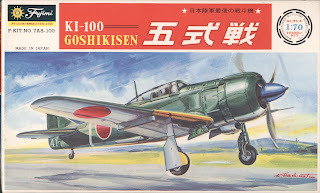 The kit was described as 'Goshikisen - Ki-100-1B'. 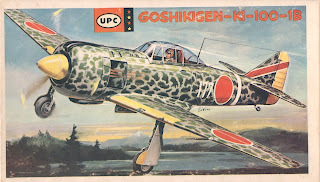 So, there you have it, Fujimi's Goshikisen, which is now perhaps, post the Fine Molds and RS Models releases, just a collectable curiosity unless you fancy a bit of retro modelling. 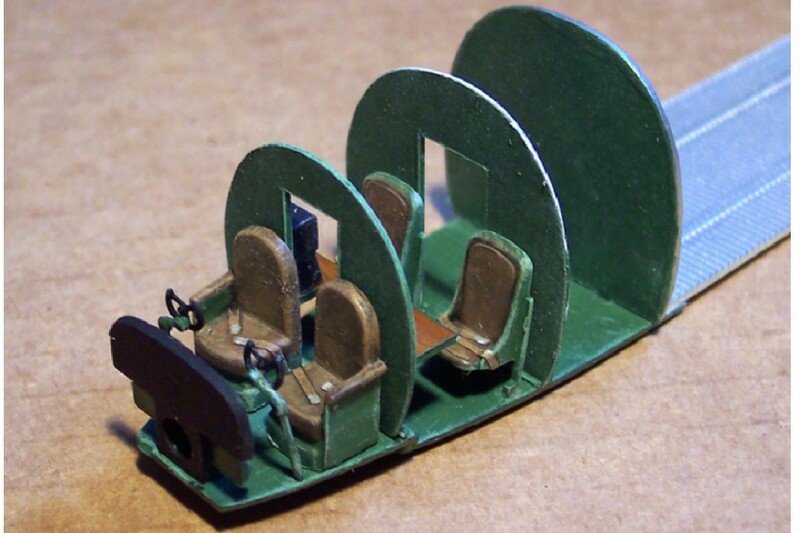 An example of the kit as made up from the box can be seen on a German modelling blog here. 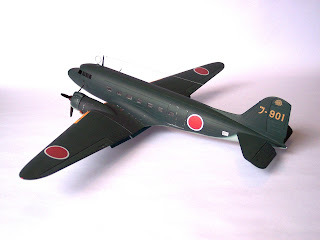 They do still turn up occasionally on modelling forums where they are usually variously described as Aoshima or Nichimo but seldom as Fujimi! Image credits: Box art and instructions © Fujimi Mokei Co Ltd; UPC; AHM; Bachmann. In 1970 the UK was a pretty miserable place to live and work. The daydreams necessary for daily survival from terminal boredom were encouraged by the release of a slim paperback called 'Zero Fighter' in the Ballantine's Illustrated History of World War II 'Weapons' series which tied in to a previously published magazine part work. 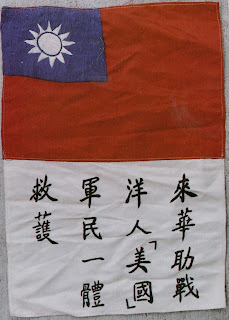 They were virtually photo books with accompanying text, in this case written by Martin Caidin, but the introduction by Zero ace Saburo Sakai hooked a sub-interest in the Zero to the Tainan Kokutai. 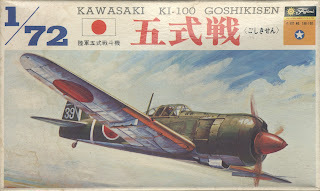 With only Revell, Airfix and Frog dark green Zeros as a visual reference it was something of a revelation to see these enigmatic aircraft in "light grey" but it was the double page photo of a group of Japanese pilots, a war correspondent and a Zero of the 'Lae Wing' on pages 128-129 that especially captured my imagination back then. The transition of appreciation from the cartoon characterisations of war comics to the real life pilots was made. Life events then intervened and it was not until 1978 that Sakai-san's exploits and I were re-united when I discovered the Bantam edition of 'Samurai' with cover art by Keith Ferris. 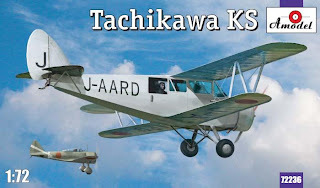 That re-kindled my earlier fascination and provided more details of the Tainan Ku air campaign over New Guinea but still left many unanswered questions. Then, in 1985 'Winged Samurai' by Henry Sakaida added another dimension, with more photographs and the first endeavours in linking Sakai-san's encounters to the records of his opposition. More faces emerged from the fog of war. 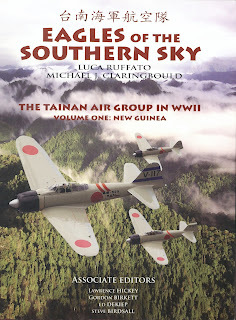 Little did I know it then but these books were to be only the starter courses for the veritable feast, the huge table creaking with food and delicacies, the multi-dish banquet that is 'Eagles of the Southern Sky - The Tainan Air Group in WWII - Volume One: New Guinea' by Luca Ruffato and Michael J Claringbould and published by Tainan Books. Back in 1970 I could never have dreamt of a book on this subject with so much meat, so much colour, so many historical details or images and so meticulous a resolution in examining claim and counter-claim. This soft cover, large-format (11" x 8.5") book has 352 pages packed solid with more than 300 photos, colour art, profiles (of which no less than 33 depict Zero fighters) and historical data, covering not just the Tainan Ku but the units they served alongside and in action against in simply stupefying detail. Here I must declare an interest, for I provided Michael with a little information which he has been kind enough to acknowledge in the book. But at that stage of very minor involvement I had no idea what to expect from the final result that has been achieved, which is extraordinarily outstanding. This book wowed from the moment it arrived. 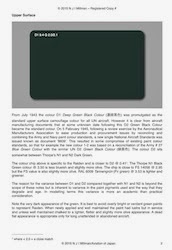 Although the Zero paint colour is at first described as 'semi-transparent' this is corrected later in the text where it is described as an opaque paint of solid colour. 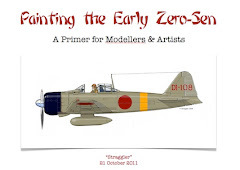 The Zero fighters in the book are depicted both in the paintings and profiles in the correct colour scheme of an amber-tinted grey. Slowly, this 'revision' is gaining ground, although there are still many who, not surprisingly, find the subtle pigmentation difficult to visualise and grasp. A unique and visually impressive feature of the book is the series of no less than 28 colour illustrations depicting some of the air battles described, using computerised art that includes the actual locations where the events took place in photographic realism. For the first time it is possible to directly see the aircraft over the actual rugged but beautiful terrain of New Guinea. These encounters are carefully plotted in the text, friend and foe, with the correction of much previously confused, inaccurate or unknown detail. Whilst this debunks many of the claims the result pays homage through truth to the magnitude of the service expected and given by the young men on both sides of the conflict. The colour profiles cover not just the Zero fighters of the Tainan Ku, each with an in depth explanatory caption, but also other IJN types and the Allied aircraft ranged against them, P-40s, Airacobras, Marauders, Bostons, etc., with comprehensive captions for each one. As modelling inspiration for an early New Guinea campaign theme it is a one stop shop. 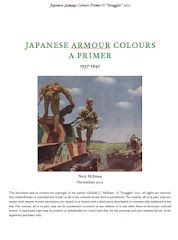 The photographic content is comprehensive and impressive, from Japanese and Allied sources, including private collections, with many new and revealing images printed clearly and to a good size. Others have expressed disappointment that this book is not in hard cover. At over 300 pages it has the weighty heft of the best telephone directory a historian or modeller is ever likely to receive but personally I found it easy and comfortable to sit with and read in this format. This mighty tome presents a cornucopia of pure history and is a testimony to the research and dedication of the authors and contributors who are to be congratulated on a magnificent achievement. It is very highly recommended to everyone with a historical or modelling interest in the subject. The book is available via www.tainanbooks.com for USD$78.60 (approx £50) and is worth every cent or penny. Following on from the release of a family of Kugisho D4Y Judy kits by AZ Model to their 'HQ' full quality mould technology a couple of the kits have now been examined. A full review and comparison with the Fujimi kits will be blogged in due course. First impressions are excellent, especially the surface detail which is a little more substantial than the Fujimi style and there is more cockpit detail, although not especially more accurate. One thing to note is that the actual kits in the boxes are all the same, with the optional parts for each version on the sprues, only the boxes and decals being different. So plenty of spare parts. 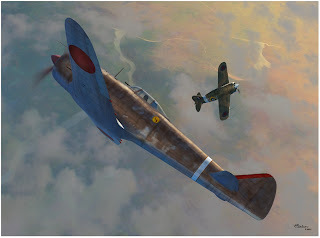 From Sword comes a Ki-44-I with striking box art showing Capt Kuroe of the 47th Dokuritsu Hiko Chutai "dancing" with an RAF Buffalo in a particularly evocative and beautifully illuminated scene. 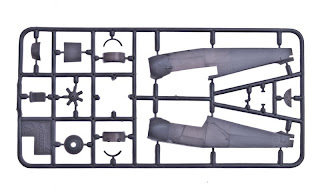 The kit includes a new sprue with lower wing, wheel covers and conical spinner but disappointingly the annular oil cooler matrix is no improvement on the old Hasegawa kit and could - perhaps should - have been done in photo-etch. 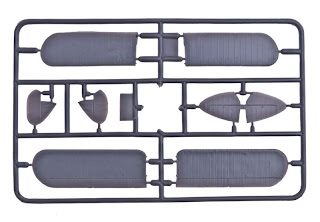 The kit contains resin parts for the engine and pilot's seat but otherwise is all plastic. 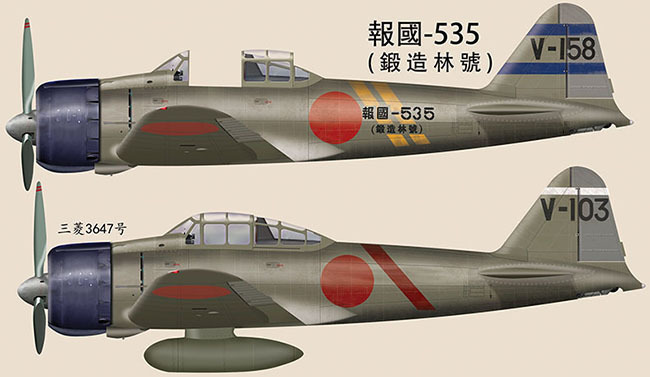 Decals are included for an example from each 47th DHC Shotai plus a late production Ki-44-I from the embryonic 47th Sentai in Japan with Homeland Defence "bandages". The painting guide might confuse the unwary as the colour profiles on the reverse of the box show brown camouflage but don't say so whilst the instruction sheet has monochrome profiles with the camouflage keyed as green! Both are shown as solid finishes too. The box art shows the correct appearance of a very dense mottle. Also from Sword, and again with strikingly dramatic box art, a surprising B7A2 Ryusei Grace which looks lovely in the box. 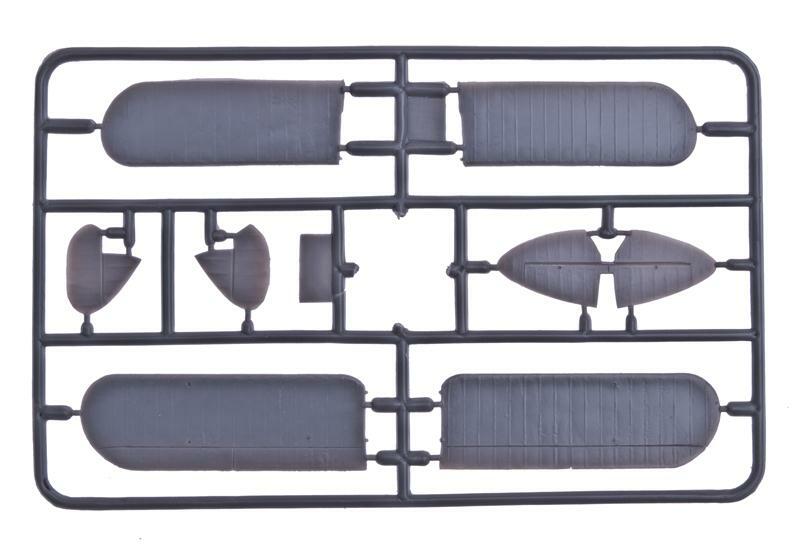 The approach to the bomb bay is impressive, with realistic multi-part doors to be fitted in the open position if desired and a representative bomb load. There is also optional torpedo armament. Again the kit is all plastic except for - curiously - the radio D/F loop and the wing cannon barrels. The canopy is multi part and interior detail is again superior to the Fujimi kit. I have a hunch this one will look impressive all opened up. 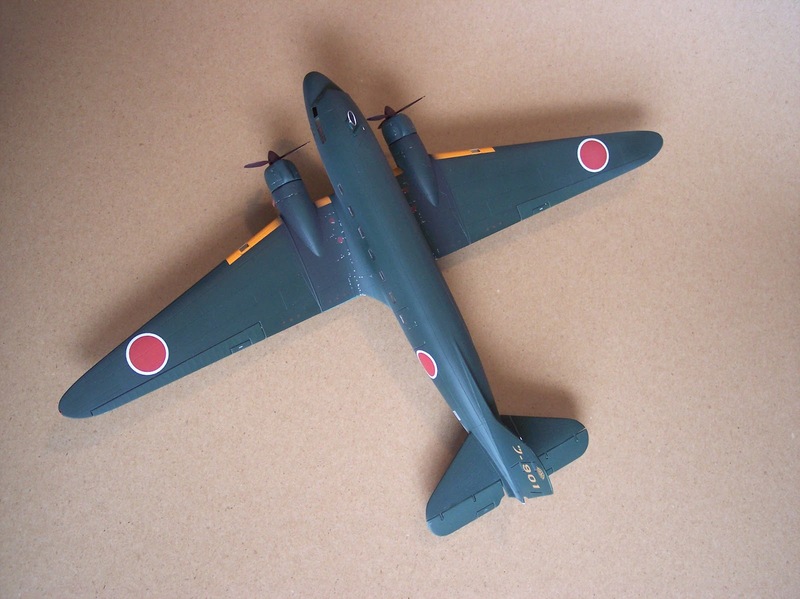 Markings options include Yo-251 from the Yokosuka Ku and two from the 752nd Ku - with tail codes 752-24 and 752-53. The rear of the box has colour profiles as a painting guide. 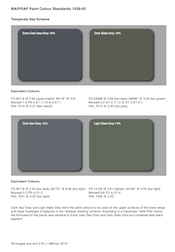 At last there is a good stab at the warm grey under surface colour but the green is much too light and olive. Grace colours have been blogged here. 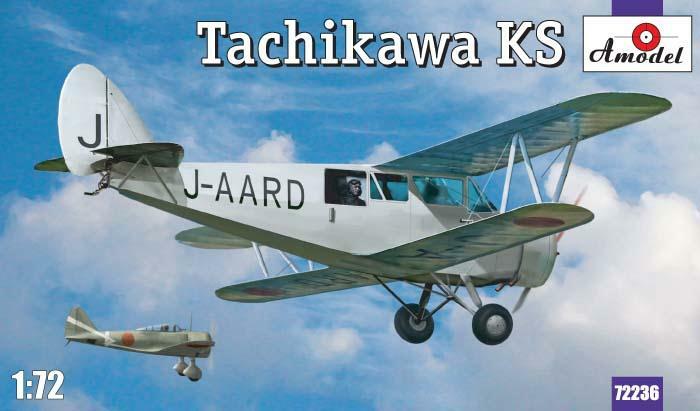 Then from Amodel a family of Tachikawa KKY series light aircraft with inline and radial engines, including a civil example KS-1 registered as J-AARD and operated by the Bureau of Railway Construction as a photographic survey aircraft. This had a large open camera window and mounting in the port fuselage which Amodel rather extravagantly provide as an extra fuselage half. There was also a camera window in the lower fuselage, not incorporated in the model, the exact location and size of which is unclear. 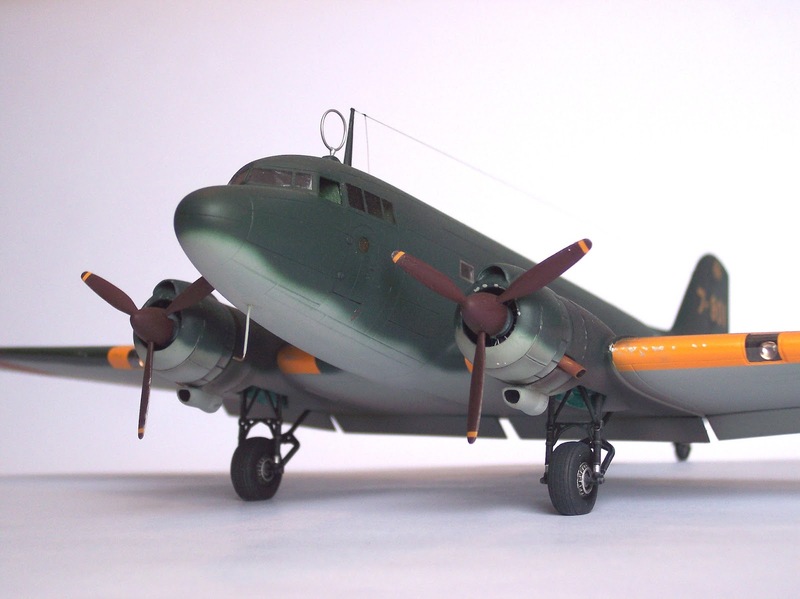 Amodel suggest the colour scheme as light grey but photographs strongly suggest that the original aircraft was finished overall in aluminium dope. 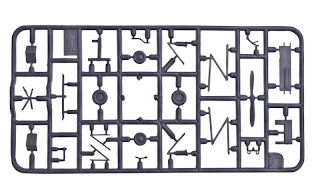 Those familiar with Amodel kits will know that they can appear daunting but I have found with their I-16 kits that if care is taken in preparing and fitting the parts a good model will result. 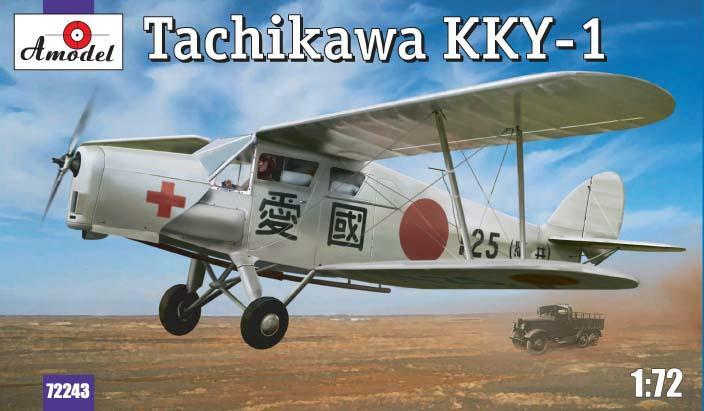 The Tachikawa KKY is a little like a large biplane Auster and is an interesting if somewhat arcane subject. 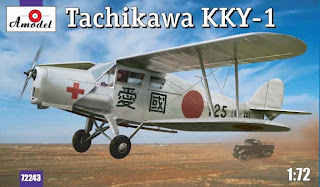 In 1932 the Japanese Army had contracted for a light ambulance aircraft with the Ishakawajima Shipbuilding Company's Aeroplane Factory, which was to become Tachikawa Aeroplane Company in 1936. 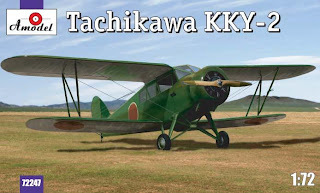 The design by Ryokichi Endo, assisted by Moriyuki Nakagawa, drew on aspects of the imported De Havilland DH 83 Fox Moth light aircraft and was designated KKY for Kogata Kei Kanja Yusoki (小形型患者輸送機 - literally 'small type patient transportation machine'). The aircraft was crewed by a single pilot and a medical orderly with provision to carry two stretchers (included as a single piece in the Amodel kit) and various medical stores as specified by Yoshinobu Terajii, the Army Senior Surgeon. 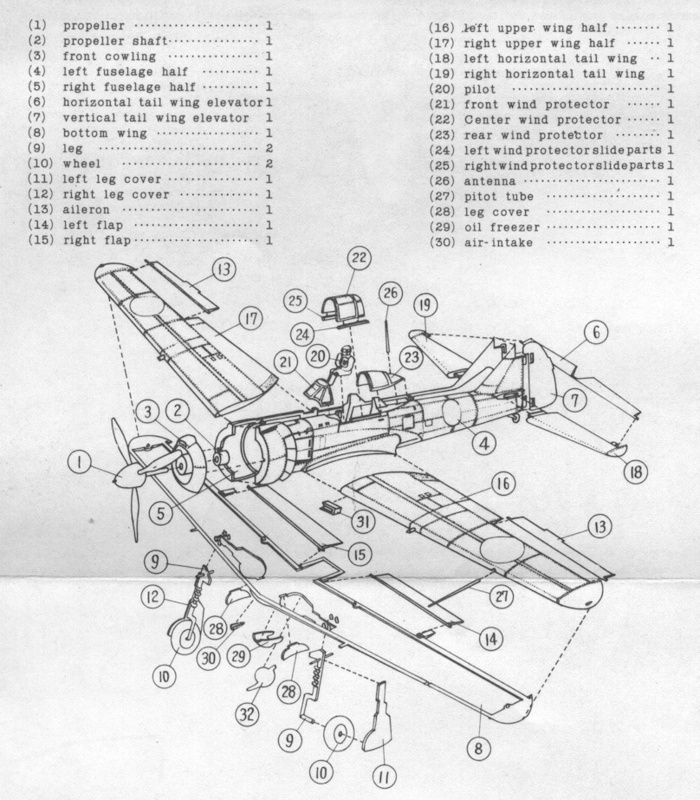 With STOL capability it could operate close to the front lines from improvised airstrips and like the Ki-27 had provision to be fitted with low pressure tyres for this purpose. The prototype flew in 1933 but the type was not accepted for service by the Army until 1935. At first powered by a Cirrus Hermes Mk.IV inverted inline engine with metal prop as the KKY-1, this was replaced in 1938 with a Gasuden Jimpu 150hp 7-cylinder radial engine with a wooden prop and the modified variant designated KKY-2 Kai. A total of only 23 machines was built from 1933 to 1940 with 17 of them built during 1938-39. Many of these were Aikoku aircraft purchased by subscription and carrying dedication legends on the fuselage side. The KKY-1 kit contains markings options for two such aircraft # 97 and # 125. 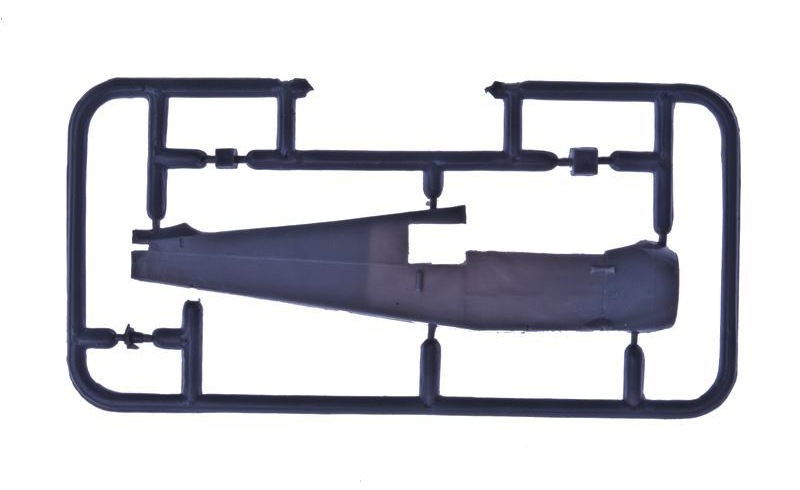 The KKY-2 kit offers a plain camouflaged example with no unit insignia or identifying numbers and a captured example in Soviet markings - presumably from Nomonhan. The KS kit has provision only for the single example registered J-AARD, although there were at least two such machines used by the Bureau. I like these - an interesting little kit offering a challenging build and the opportunity for some neat dioramas. Image credits: All © 2013; AZ Model; Sword; IBG Models (Amodel); KKY-1 postcards author collection. 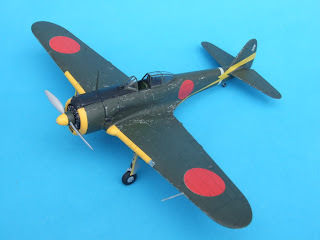 With the kind permission of Tony O'Toole it is a pleasure to share these images of two of his Ki-43 'Oscar' models in 1/48th scale. The 54th Sentai Ki-43-I is from the Nichimo (?) 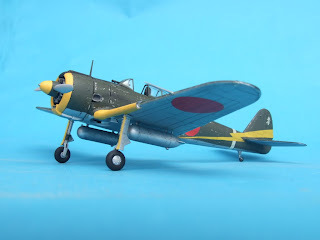 kit and the 64th Sentai Ki-43-III Ko from the Fine Molds kit, both representing Burma campaign opponents for Tony's collection of SEAC Spitfire and Hurricane types. Believe it or not both models are also completely brush painted by hand. With grateful thanks to Tony for permission to show these superb models here. 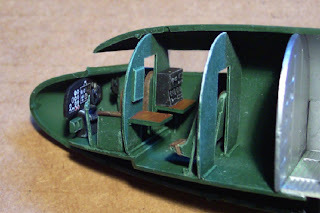 Continuing with the Tabby theme, Steve Nelson of Battle Creek, Michigan, has very kindly shared these images and details of his superb conversion of the 1/72nd scale Italeri C-47 kit to an IJN L2D2. This inspiring and excellent build is best described in his own words. "This model was originally intended to be part of a j-aircraft.com group build for the IPMS Nationals. That project never really came together, but I had become fascinated by the "Tabby" and decided to finish the conversion anyway. I started with the Italeri C-47 kit, as it was the best Gooney Bird in 1/72 that could be easily found (the ESCI kit would probably have worked just as well, but it's been out of production for some time.). Detailed references for the Tabby are rather thin on the ground. The best is the old Maru Mechanic on the C-47. The text is of course entirely in Japanese, but the book contains some nice drawings and an exploded view of the L2D, as well as the only interior photos I've ever found. "I started by fairing in the original cargo doors and scribing new ones. 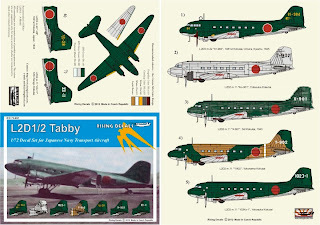 Many people assume that the "Tabby" was a copy of the C-47, but the Japanese actually independently developed their own cargo version of the DC-3, which they were building under license before the war. This means the cargo doors were slightly different in shape and location. I added the extra windows aft of the cockpit with some clear styrene, as well as a porthole window in the baggage door. The Navigator/Radio Compartment aft of the cockpit is largely guesswork. There's only a single photo showing part of this area in the Maru Mechanic. I only added it so the area wouldn't look empty through the windows. The bulkheads and tables are sheet styrene, and the seats and radio set came from the spares box. The instrument panel is a photocopy of the decal sheet from the Hasegawa G3M "Nell," and I added tape seatbelts. "The engines were the real "meat" of the conversion. I cast Alumalite resin copies of the engines from the aforementioned Hasegawa "Nell," but I had to create my own master for the cowls. I started with the original C-47 cowl, modifying the shape, reducing the diameter of the opening, and adding the intake on top. I then made an RTV mold of the modified cowl and cast replacements. I also made casts of the accessory section behind the engines, with a reshaped oil cooler. The final parts were the result of many attempts and much trial and error. I was able to cast the cowls with a hole through the center, but had to do the finish work by hollowing them out with a Dremel tool. The props are from the spares bin. 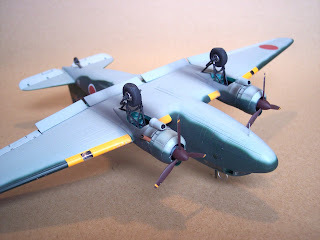 I think they came from an Academy B-17G (which came with an extra set of narrow chord props intended for the earlier variants) and the spinners are cast resin copies of those in the Hasegawa G4M1 "Betty." I finished off this part of the conversion with exhaust pipes made from aluminum tubing. 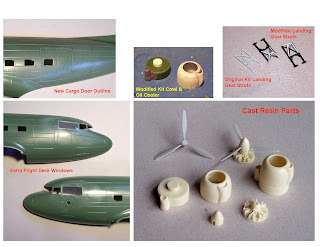 As I mentioned, the "Tabby" was based on the DC-3, which has a slightly different landing gear design than the C-47, so I modified the kit landing gear accordingly. Why I went to the trouble I'll never know..but "in for a penny, in for a pound." I used MV Products lenses for the wing leading edge landing lights, and made new light covers by heat forming clear sheet over the leading edge. Unfortunately, once the project was finished I discovered that the "Tabby" didn't even have them! However I decided discretion was the better part of valor and elected not to remove them and risk screwing up the project..especially since they came out so well. "The model was painted with Gunze acrylics. 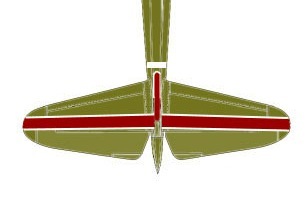 Simple IJN Green above and IJN Gray below, with orange-yellow leading edge bands. The Hinomarus came from the old IPMS sheet, and the data block and stencils from the spares bin. The tail markings were the biggest challenge. 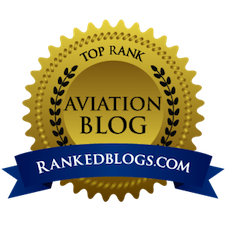 I was using a profile provided by the j-aircraft project leader. At the time I had access to a color laser printer at work so printing the codes and unit badge in yellow was no problem, but the translucent decals would disappear on the dark green background. Fortunately I have a friend with an ALPS printer. I sent him the artwork and he was able to print up some opaque white decals for me to serve as a backdrop for the yellow. 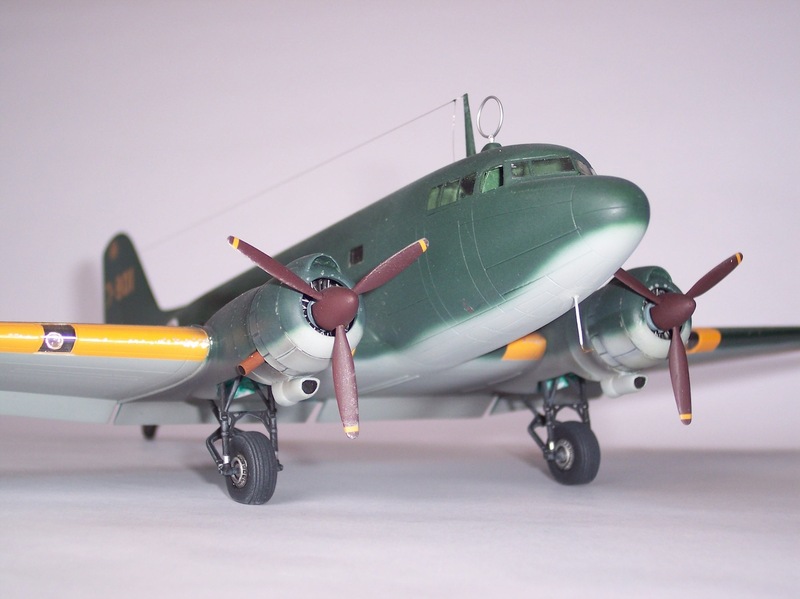 "Finishing touches included a scratchbuilt loop antenna and pitot tube, both made from wire. I also used True Details resin wheels, and the flaps were robbed from a junked ESCI C-47 kit (because it was easier and quicker than scratchbuilding new ones.) I entered the model at the 2006 IPMS Nationals as a stand-alone entry, but it didn't win anything. However it took first place in Conversions/Scratchbuilt at the IPMS Region IV convention the following year." With grateful thanks to Steve for the pictures and description of his very fine Tabby model. 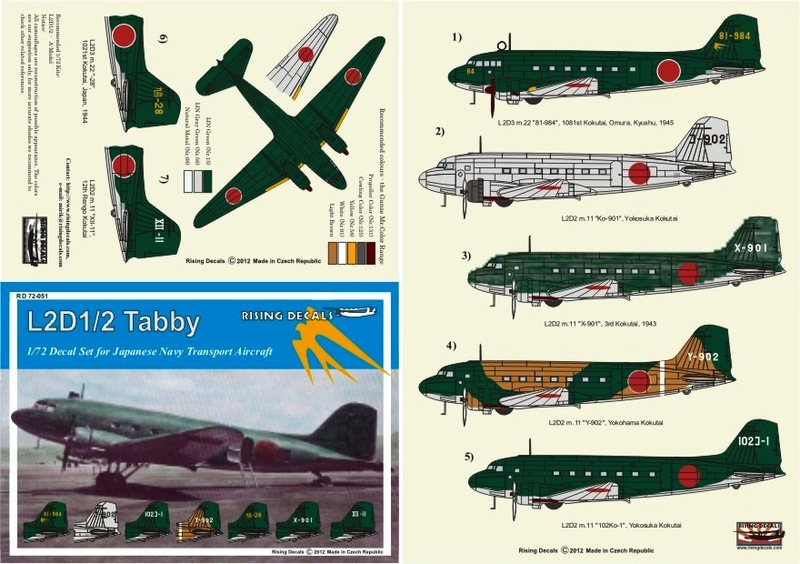 Following on from LAC Morton's description of that Tabby at Meiktila, recent releases from Rising Decals have included dedicated sheets for the L2D1/2 'Tabby' and Ki-67 Hiryu 'Peggy'. 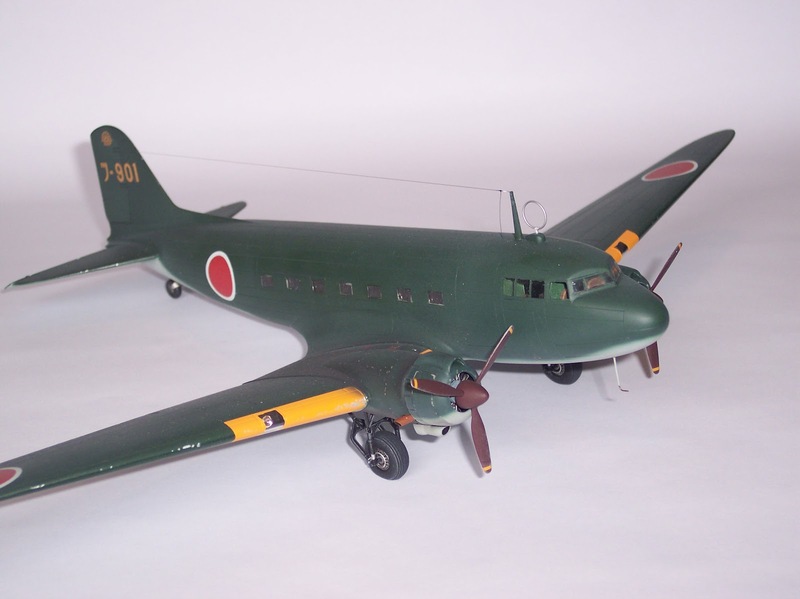 L2D3 Model 22 of the 1081st Kokutai at Omura in 1945 with tail code '81-984' and "swallow" emblem in plain dark green scheme. The last two of the code are repeated on the nose. L2D2 Model 11 of the Yokosuka Kokutai in overall grey with tail code 'Ko-901'. L2D2 Model 11 of the 3rd Kokutai in 1943 with tail code 'X-901' in plain dark green scheme. 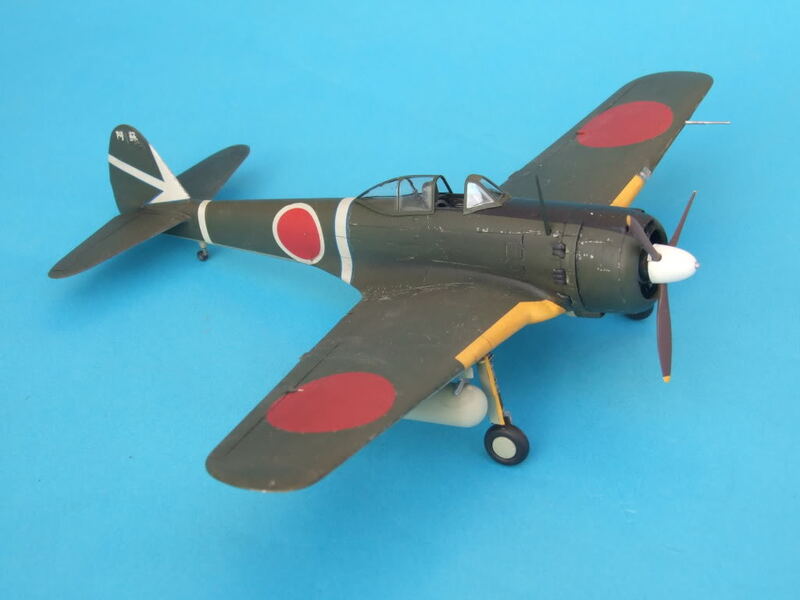 L2D2 Model 11 of the Yokohama Kokutai with tail code 'Y-902' in a dark green and brown camouflage scheme with white fuselage band (not included). 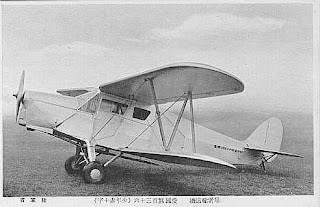 L2D3 Model 22 of the 1021st Kokutai in 1944 with tail code '鳩-28' (鳩 = 'Hato' meaning pigeon or dove was the unit code name). Ki-67 of the 98th Sentai at Itazuke, Japan in 1945 with tail code '409' and red horizontal fin stripe. At that time the 98th were under the command of the 762nd Kokutai as part of the IJN. This aircraft has victory markings on the nose. Ki-67 of an unknown unit in 1945. Ki-67 of the 7th Sentai at Takao, Formosa in 1944 with tail marking '7-56' for 2nd Chutai. 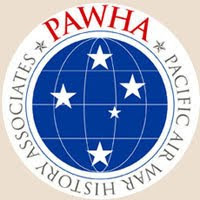 This aircraft has a red vertical fuselage band and rudder tab with blue horizontal stripe across the fin and rudder. Ki-109 at Yokota, Japan in 1945 with tail marking '2'. 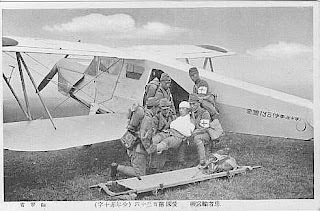 This aircraft is identified as probably being the second prototype of the type and has white Homeland Defence 'bandages' for the wing and fuselage Hinomaru (not included). 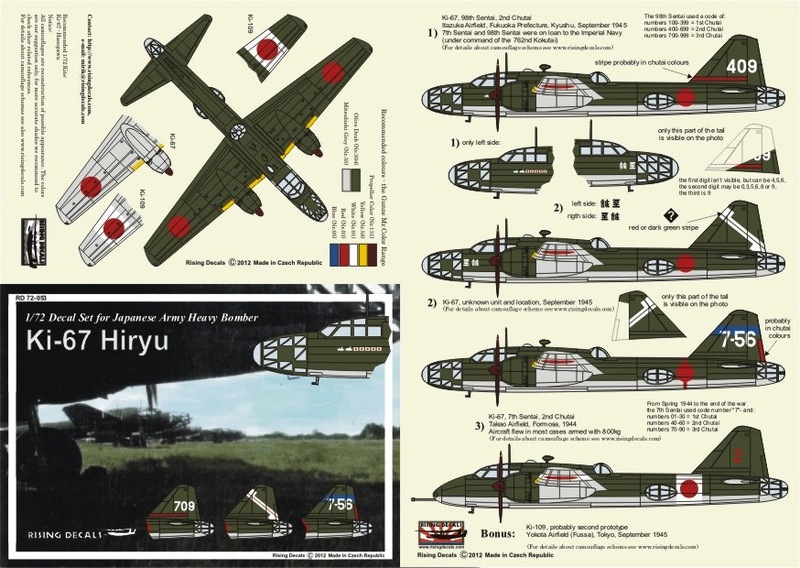 Two interesting sheets for Japanese model aircraft enthusiasts from Rising Decals with their usual clear printing, good, saturated colours and colour placement instructions. With grateful thanks to Mirek of Rising Decals.